Diabetes (Type 2) is strongly associated with overconsumption of carbohydrates. It’s also pretty clear, as he mentions, that “a low-carbohydrate diet is therapeutic in type-2 diabetes”, yet most doctors still suggest a relatively high-carb diet for diabetics. 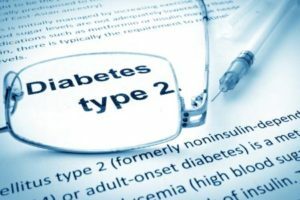 If you are diagnosed with Type 2 diabetes, or told you are pre-diabetic, making dietary changes may be very significant to managing the disease and regaining your health. That doesn’t mean that you should ignore other treatments, such as prescriptions, but it does mean that you should consider working with an integrative doctor that takes a holistic approach to your health and tells you the truth about your condition. Pretending that high consumption of baked goods or sugars is healthy for diabetics is dangerous to your health, and long-term, to your life. If you’re at risk of diabetes, eating your carbs in the form of high-fiber vegetables is usually the best choice. In particular, limiting sugar intake is essential, particularly in cases of child diabetes. An integrative doctor will look at your family history and even your genetic test results so that they can give you the best lifestyle suggestions for your treatment, as well as any necessary medications. One size doesn’t fit all, but there are some common issues all diabetics contend with. Honest, up-to-date and relevant medical advice can save your life. To a great extent, you can take back control of your health when diagnosed with type 2 diabetes, by partnering with a doctor that understands how to help you and choosing to follow their advice. Getting good nutritional advice is essential for every diabetic. If you’re diabetic or pre-diabetic and you’re having toast for breakfast, washed down with juice… you’re on a path of self-destruction that can end with the loss of a limb, or even death. The solution is to limit carbs and choose your carb choices intelligently. Giving up soda pop is a comparatively small price to pay for quality and length of life… and don’t fool yourself into thinking that diet soda is a healthy choice either. Sure, there’s lots of misinformation out there, and it’s hard to tell who to trust, but relying on doing what you’ve always done will get you the results you’ve always gotten, as the speaker Jesse Potter said. Carbohydrate limitation and careful carb choice works well for Type 2 diabetics. Self-indulgent wishful thinking can kill them. As the article I mentioned points out, there are no single superfoods that will “fix” a diabetic condition. You need a diabetic diet focused on meats, vegetables, and healthy fats. Move your body, get outside, and sleep well. Diabetics can live well and minimize the health effects of their condition. Get help from an integrative doctor.